Festival celebrations Continue with safe & Dependable Toyota. Safe for you. Safe for your family. 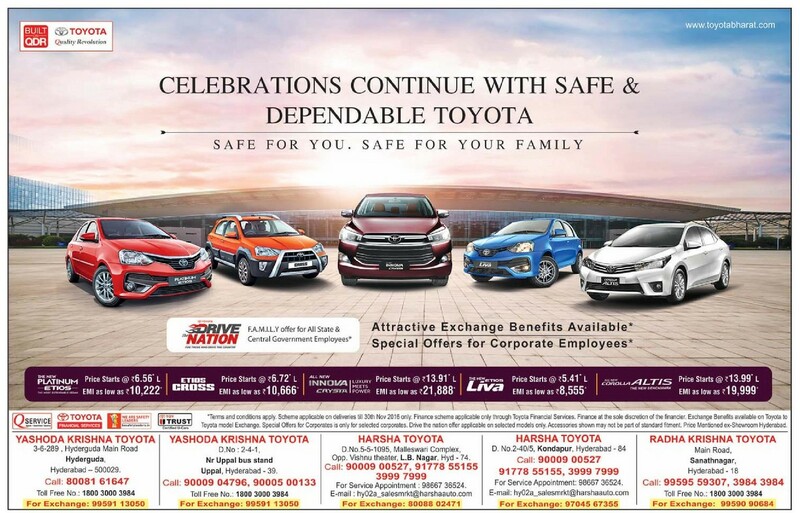 Offer applicable on Platinum etios, Etios Cross, All new Innova cross, The new Etios Liva, The corolla Altis.